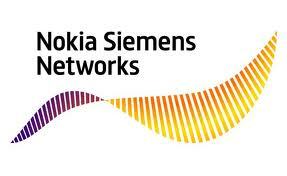 T-Mobile and Nokia Siemens have joined for working on this 650 Mbps 3g standard which is likely to be completed by 2013, this project is based on LT-HSPA evolution basically for offering more high speed downloads at the rate of 650 Mbps and above which is now 42 Mbps. HSPA is the High Speed Packet Access which is the standard for wireless broadband defined in 3GPP and is a consolidation of two telephony protocols used for the improvements in WCDMA. This increase in the downloading speed is got / achieved by combining eight channels into a single data link this increases the cell edge data rate along with dual antenna basically HSPA+ (which gives a HSPA data rates 56Mbps down link and 22 Mbps up link through MIMO -Multiple Input and Multiple Output) ie., dual channel sending data to and fro at the same time. The technology also enhances the 4g broadband from what it has been planned now. The specifications workings are to take place using radio access network, which is already working on Nokia Siemens single RAN platform which is compatible with its present WCDMA (Wide band Code Division Multiple Access – is a interface standard found in 3g mobiles) and HSPA mobiles.